Nirav Modi, the main accused in the Rs 13000-crore Punjab National Bank scam, has been arrested in London. The fugitive diamantaire was remanded to custody till March 29 by the Westminster Magistrate’s court on “substantial grounds” that he might fail to surrender if granted bail. The arrest comes only a week since UK authorities issued a warrant after Modi was tracked down to a three-bedroom flat in the Centre Point tower block of luxury apartments in the West End of London. Recent Developments: Hours after being picked up by the Police from the metro station in Holborn, Central London, the businessman was produced before the Metropolitan Magistrate court. Modi, donned in a plain white shirt and trousers, contested the extradition order against him and is said to have even offered the court half-a-million pounds in bail bonds. He said she said: While the BJP leaders immediately hailed Nirav Modi’s arrest as a success of the Modi led government’s “political authorities”, opposition party leaders termed it as mere symbolism ahead of the elections. What next: ED sources have said that they expect a "faster" process of extradition in Modi's case, as compared to liquor baron Vijay Mallya, who was extradited last month, as this is an instance of "clear defraud" of bank loan money. They said the ED and the CBI have already sent in "good amount of evidence-based documents" for the courts in UK to peruse. 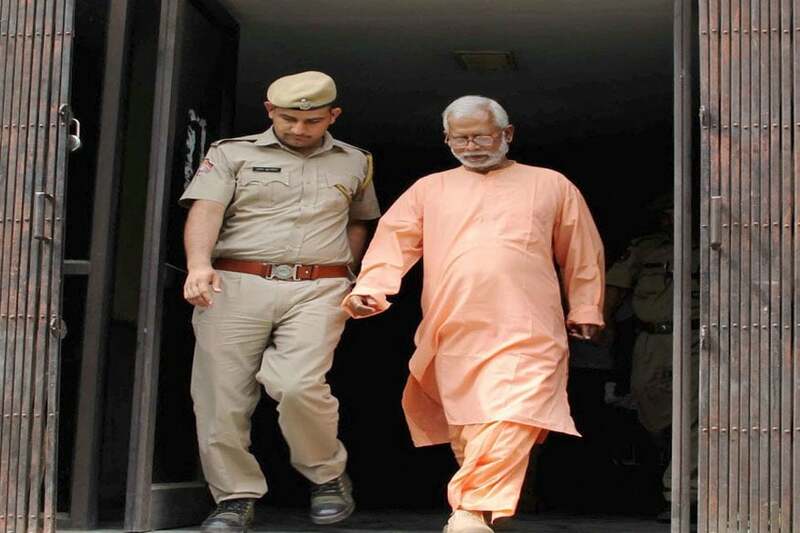 Twelve years after a blast on Samjhauta Express killed 68 people a special court on Wednesday acquitted former RSS activist Swami Aseemanand and three others in the case that Islamabad has often cited to counter Indian charges of Pakistan-sponsored terror. The blast on the India-Pakistan train took place near Panipat in Haryana on February 18, 2007, when it was on its way to Attari in Amritsar, the last station on the Indian side. Of the 68 killed in the blast, 44 were Pakistani nationals. The Foreign Office in Islamabad has summoned the Indian High Commissioner to lodge a protest against the acquittal and even accused the Indian government of promoting and protecting ‘Hindu terrorists’. Three CRPF personnel were killed on Wednesday after a colleague allegedly fired at them after an altercation at their camp in Jammu and Kashmir. The alleged fratricide incident happened at around 10 pm when constable Ajit Kumar shot three of his colleagues from his service rifle at the 187th battalion camp of the force in the Battal Ballian area in Udhampur. Kumar, who hails from Kanpur in Uttar Pradesh, was rushed to a military hospital nearby. BSP chief Mayawati on Wednesday announced she will not contest the upcoming Lok Sabha polls, but stressed it was not necessary to be an MP to become a minister or a prime minister. "In view of the present circumstances and the need of the country and the interests of the party, the movement and the public, it is the need of the hour that I do not contest the Lok Sabha polls, Mayawati said. The BSP chief’s decision come despite her alliance partners in UP and Andhra Pradesh, Akhilesh Yadav and Pawan Kalyan, recently stating that they would want Mayawati to become the PM. The West Bengal Pradesh Congress Committee on Wednesday said it would leave for the Left Front five Lok Sabha seats where the latter had a stronger base as the main aim was to defeat the ruling Trinamool Congress and a rising Bharatiya Janata Party (BJP) in the state. Extending an olive branch to the Congress, the Left Front had on Tuesday said the two parties should come together to keep the Trinamool and BJP at bay and reconsider a seat-sharing pact. Front chairman Biman Bose had even given a 24-hour deadline to the Congress to respond to its request while announcing the second list of 13 candidates and leaving aside four seats for the grand old party. The smallest geographies, like Andaman & Nicobar and Lakshwadeep islands, don’t conjure large, often lingering patterns of politics. And their electoral irrelevance is, perhaps, part of the larger problem of politics and policy being mainland-centric, pushing islands into isolated corners. So, what are the issues that the islands vote on and, in general, how do the islands vote? Read Rishika Pardikar’s analysis here. Holi has meant a great variety of things for a variety of people. While some love the bright hues and sweets, others dread the unexpected balloons and the rampant molestation. Here are some good, bad and ugly Holi confessions.